“This Last will and testament is made by Mr Marcel Aka of Bronson Hill Nursing Home. Birmingham. I appoint Mr Kevin Markson and his colleagues of Monty and Stern solicitors as executers and trustees of my will. I give a gift of $1,791 and my legacy of Vogel asylum to my grandson Jamari Aka II, under the conditions that he restore the Vogel family Name and the Building to either of its former states (Family Home or Hospital). If he agrees to do so he must revert back to the family’s true surname of Vogel. The Attached Letter contains full details. I give the remains of my estate to my executor and trustee to pay my debts, Taxes and testamentary expenses and pay the residue to Jamari Vogel. I wish my body to be cremated and ashes scattered amongst the flowers at the Vogel Asylum. Signed by the above testator in our presence and his two witnesses”. Kevin Hands Jamari the enclosed letter and gets up to leave, he extends his hand and again offers his condolences. He presses his business card into Jamari’s hand and tells him to contact him once he has made a decision regarding the asylum “We need to get things into gear by the end of the month or the Asylum will be forfeited to the Government”. 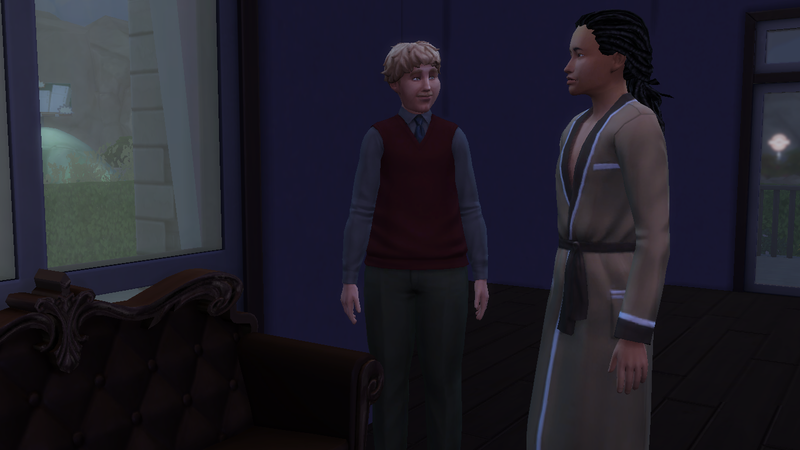 Kevin turn’s toward the door and leaves accompanied by the Headmaster. Ooh, interesting will. I wonder if Jamari will be able to take on the responsibility with ease or if he will struggle. Whoa! How did you Know that!! Bromson Hill was Actually my inspiration I imagined Grampy attending the Coffee mornings, Chatting up the female residents and sitting in the Garden waiting for Jamari to visit. :-D.
WOOOOW! Interesting proposition! Very exciting though! Can’t wait to see to what happens next… Is he going to run the asylum? Hmmm…. This story is getting good. I love all the detail, I feel like I’m sitting right next to Jamari through this tragic times. I’m glad you like the details I just think they set up the backstory properly so you care about Jamari and can imagine exactly how he would be feeling. Thank you for the comments Hunni. Oh my goodness that’s one crazy thing to inherit. I am curious how Jamari will handle it. Yes it is! I don’t think many 18 year old people would have been able to. it’s such a big and daunting task.